Hailed as one of Ireland’s most innovative and exciting bands. The seven members, all from Dublin, come from different musical backgrounds and share a passion to create great music with an ability to absorb influences from across the globe. 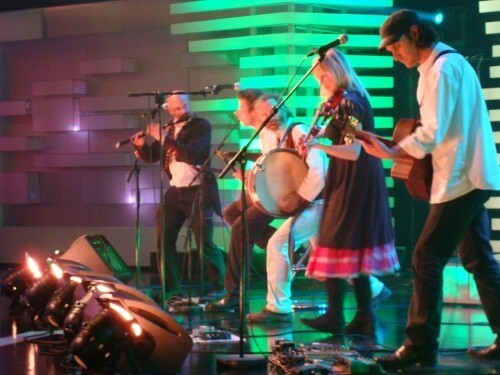 With its roots in traditional Irish, it features a strong percussive like singing and gorgeous melodies driven by a serious rhythmical undercurrent. 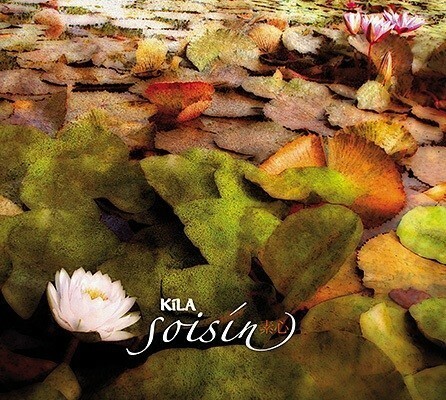 Kíla have created their own distinctive style of world music, which has won over audiences around the world through their nine recordings to date and their spectacular live performances. Kíla are widely renowned for their stunning sets and surprise guest performers at their shows, including trapeze artists, fire jugglers and belly dancers, their live energetic live performances have seen them continue to wow and attract new audiences over the years. Kíla have played in over 20 countries throughout the world, at festivals and venues, most notable festivals in recent years include Womadelaide Australia, Womad Reading, Spain and Sicily, Glastonbury Festival, Witness Festival, Sigzet Festival Budapest, Montreaux Jazz Festival, Stockholm Water Festival, and the Opening Ceremony of the Special Olympics Ireland 2003. Made up of two sets of brothers Kíla consists of: Rónán Ó Snodaigh on bodhrán, djembe, congas, bongos, guitar and vocals; Rossa Ó Snodaigh on tin whistle, low whistle, clarinet, bazouki, mandolin, bones and vocals; Colm Ó Snodaigh on flute, tin whistle, guitar, saxophone, percussion and vocals; Lance Hogan on guitar, drums, and vocals; Brian Hogan on bass, double bass and vocals; Dee Armstrong on fiddle, viola, hammered dulcimer, accordion and bodhrán. Eoin Dillon on uileann pipes, tin whistle, low whistle, shakers and vocals.